Ring-ring! 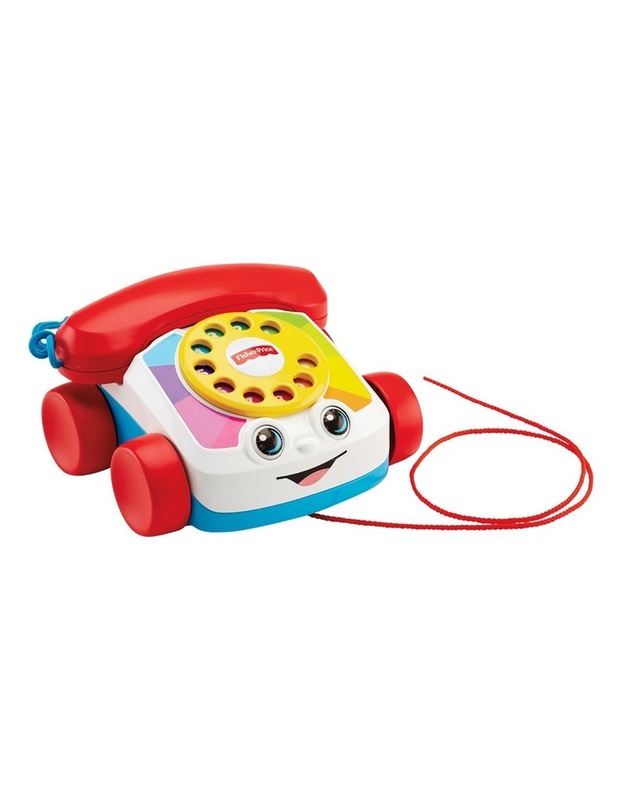 Say hello to a new look for the Fisher-Price Chatter Telephone toy! This classic pull toy now has a more modern design, but is still as fun and sweet-looking as ever with its adorable face, spinning dial, ringing-phone sounds and eyes that move up and down as baby pulls it along. The cord attached to the receiver ensures it never gets lost.